Washington : US Secretary of State John Kerry has slammed President-elect Donald Trump for an interview in which he branded NATO "obsolete" and said Germany had pursued a "catastrophic" policy on refugees. 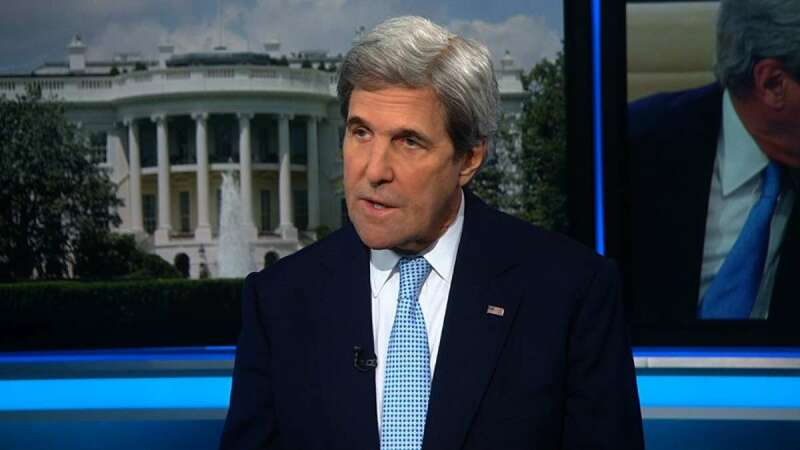 Kerry told CNN on Monday that it was "inappropriate" for Trump to "be stepping in to the politics of other countries in a quite direct manner". Trump's interview on Sunday in the Times of London and the German publication Bild had rattled allies. The German Foreign Minister Frank-Walter Steinmeier said it had caused "astonishment and agitation" within NATO. As well as repeating his criticism of NATO, Trump said the German Chancellor Angela Merkel had made a "catastrophic" mistake in accepting one million refugees. He said sanctions on Russia for its annexation of Crimea could be eased in return for a deal to reduce nuclear weapons, and suggested his son-in-law Jared Kushner could lead a Middle East peace effort. In his CNN interview, Kerry defended Merkel as "one of the strongest leaders in Europe" and "most important players with respect to where we are heading". Trump would have to deal with the consequences of his remarks after his inauguration later this week, Kerry said. "He'll have to speak to that -- as of Friday, he's responsible for that relationship," the Secretary of State said. On Monday, Merkel shrugged off the criticism and said: "We have known what his position is for some time, and my position is also known." Foreign Minister Steinmeier said he had spoken with NATO Secretary General Jens Stoltenberg, "who is concerned that President-elect Trump regards NATO as obsolete".